The Health Minister, Sussan Ley, is forecasting many changes to the health workforce, driven by technology and growing demand for services. 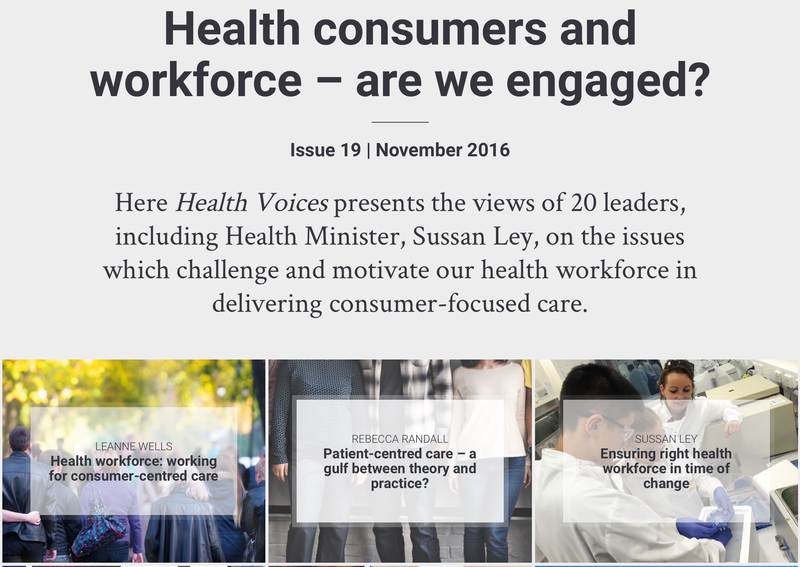 She has revealed her insights in an article for the latest edition of the Consumers Health Forum journal, Health Voices, published today and titled Health consumers and workforce – are we engaged? focusing on the issues facing Australia’s health workforce in providing patient-centred care. 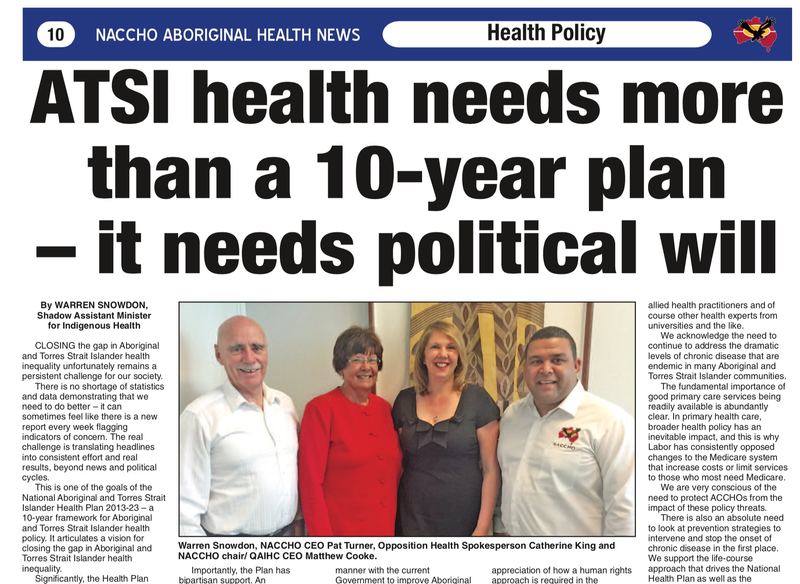 The Minister’s article is one of 20 articles by workforce leaders and experts signalling big changes in health workforce composition and practices, including the development of more consumer-focused care systems. Ms Ley says the Australian Health Practitioner Regulation Agency (AHPRA) prescribing working group is reviewing regulatory policies related to the prescribing of scheduled medicines. She also says that current evidence on doctor numbers indicates a likely oversupply of 7,000 by 2030. “With data projections continuing to indicate issues of maldistribution of doctors, especially in rural and remote communities, the Department of Health can ensure that policy initiatives are aimed to address these issues,” Ms Ley says. The CEO of the Consumers Health Forum, Leanne Wells, says the Minister’s conclusion that getting workforce mix right would help ensure a sustainable, consumer-centred health system, showed the right direction given the challenges facing health care. “The expert articles in this latest Health Voices edition show that even after two major national reviews into the health workforce there is still much scope to ensure we get the most effective care from the most appropriate health care professionals. “There is a wide range of opinions express in the journal on how we can achieve best practice. But the best starting point should be what is best for the patient and consumer. “Several of the authors make the logical point that consumers have an important influence in health workforce decisions,” Ms Wells said. “Integrated care must involve all health professions and go across health jurisdictions. And most importantly, it must involve and be focused on patients and their families and carers if we are to unlock its full potential,” Dr Catherine Yelland, President of the Royal Australasian College of Physicians. “Well you may ask then, if nurses and midwives have always practiced person-centred care, and they are the largest cohort of the health workforce at 376,880 strong, why is this not evident in the health care system of today?” Lee Thomas, Federal Secretary of the Australian Nursing and Midwifery Federation. ”Too many health professionals squander their valuable skills on work that other people could do,” Professor Stephen Duckett, health program director at the Grattan Institute. “Demand and ‘need’ for health care seem limitless because of very high patient expectations and because ‘demand’ is partly determined by health professionals who can reduce treatment thresholds and create more demand if necessary – there are no unemployed doctors – and for many services there is a waiting list. Professor Anthony Scott, head, Health Economics Research Program at the Melbourne Institute of Applied Economic and Social Research. In reality, a ‘simple’ visit to the GP can make a big difference to a patient’s health. Comprehensive, longitudinal care is about much more than just seeing patients when they are sick,” Dr Michael Gannon, Federal President of the Australian Medical Association. “Yet, many patients, advocates and family carers continue to report feeling excluded from decisions about care by health professionals who they perceive as not listening to or understanding their perspective,” Professor Sharon Lawn, director of Flinders University’s Human Behaviour and Health Research Unit.